This camping themed modern baby book helps bring our mission to life by giving you a simple (and beautiful!) way to document all the darling moments of baby's first year. From forest animals to camping gear to night-time starry skies, mom will easily record special memories, without spending hours doing it. Perfect for you or as a gift, this guilt-free baby book helps mom remember baby's first year forever. Linda H. Reviewed by Linda H.
This memory book is adorable, a compact size and very nice quality! I especially liked that it had space for all the important milestones without going into excessive details--new moms and dads don't always have time to document every little thing. 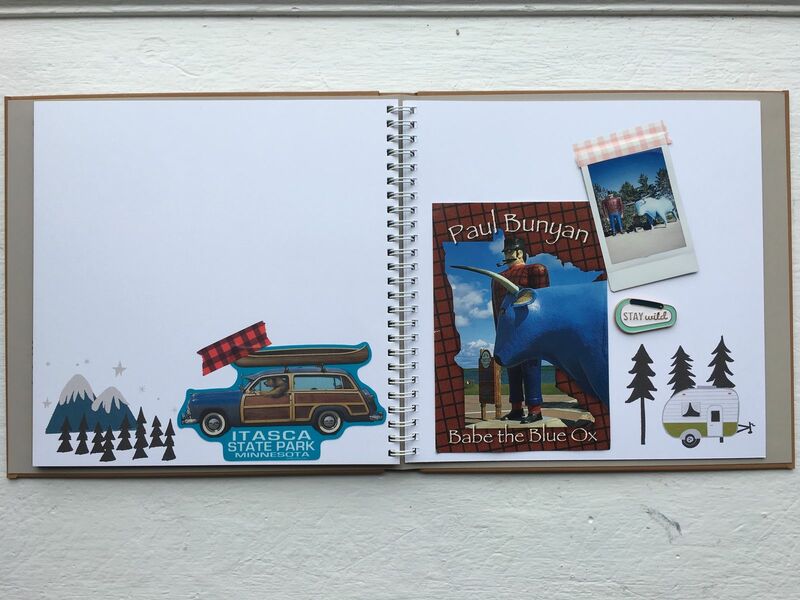 And the blank pages at the end of the book are perfect for adding additional memories and/or photos. I also appreciated that the artist provided suggestions for good pens to use when writing in this book. I gave this book to my daughter for her first baby and added a handful of colorful pens to go with it! Adelaide P. Reviewed by Adelaide P.
I love this! High quality, came fast and is perfect! Dorothy P. Reviewed by Dorothy P.
Love this adorable memory book! I’m so excited to fill this out for my little guy! We ordered the new bear one and it is so cute! Lindsay H. Reviewed by Lindsay H.
These books are so easy to fill in. I was so overwhelmed with creating a baby book for my daughter (she just turned 4) but these have given me hope and I’ve already started filling it in! Coleen A. Reviewed by Coleen A. Just received this book yesterday. It is awesome. I can't wait to document my little guys first everything's in here. Great job!!! !